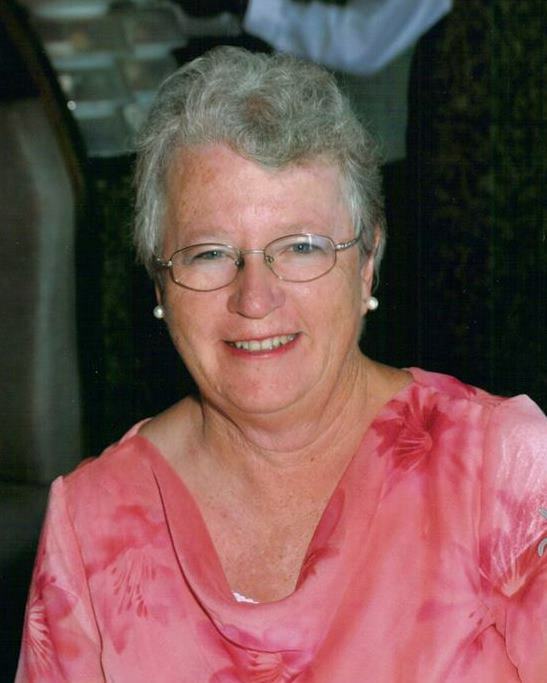 Millicent Heaton Turley passed away on Wednesday, February 24, 2016 at the Dobson House of Hospice of the Valley in Chandler, Arizona. Milli was born in Fredonia, Arizona May 20th, 1947 as the youngest of ten children to C. Leonard Heaton and Edna Hoyt Robertson. She graduated as valedictorian of her high school at the age of 16. She continued on to Dixie College and graduated from Arizona State University with a degree in elementary education and a minor in astronomy. During her time at ASU she met and fell in love with W. Alan Turley from Mesa, Arizona. Alan proposed and she accepted, but they had to wait to get married as Milli had already signed a teaching contract in southern California for one year. They were finally married and sealed in the St. George Temple on May 29th, 1969. She had 6 daughters and was a very loving and dedicated wife and mother. Her smile could cheer anyone up and she was generous with everything that she had whether it be time, hard work, or even just being a good listener. She had many talents and hobbies and lived a life of tremendous service. She loved to garden both vegetables and flowers. She also loved the stars and planets. Milli was able to be stay at home to raise her children. When her youngest was in high school she went back into the work force by helping in the daycare services and classes at the same high school. She then moved on to teach 1st grade at Meridian Elementary in Mesa, Arizona. In October of 2006, Milli was diagnosed with stage III breast cancer. She underwent a double mastectomy in February of 2007. Through the radiation and chemotherapy, Milli continued to teach the 1st grade. Two years later, the cancer was beaten into submission. In 2009, Milli and two of her daughters participated in the Susan G. Komen 3 Day event. There she walked 60 miles over 3 days to help raise funds for breast cancer research. In 2012 the cancer cells became active again and this time on the surface of her bones. She started different treatments that began to take their toll. Milli officially retired from teaching in December of 2013. Through the years Milli did her very best to be the amazing Grandma she wanted to be remembered as. Regular gingerbread house decorating, sewing lessons, gardening, games and story time allowed her to create many wonderful memories with her 22 grandchildren. In 2014 a cancer spot was found and removed from her liver. After that surgery, her interminable energy started to fade. She continued to care for everyone around her even when she was exhausted. She helped her husband with unconditional love as he went through a difficult healing process from multiple back surgeries. Milli is a wonderful example of grace, hard work, and dedication to her family and anyone who met her. She always put her family first and had a tremendous love of the gospel. Milli is survived by her husband Alan Turley, her 6 daughters Shelley (Nathan) Carroll, Melissa Klein, Rachel (Michael) Hanchett, Heather (Matthew) Weir, Jessica (Joshua) Nickerson, Joanna (Jared) Brimhall, 22 grandchildren, 6 brothers, and 1 sister. She is preceded in death by her parents, 1 brother and 1 sister. I want you to know how much you mean to me and how much I love you. You are the right person in my life to remind me to live righteously and be obedient to the laws and ordinances of the gospel. I miss you and look forward to being with you again. Millie and Alan have been friends for 40 years. We offer our deepest condolences to Alan and his family for the loss of a great and valiant women. what great neighbors you were when we both lived on Williams St., Mesa. We will always cherish the neighbors and friends we had when our families were young and we were young also. condolences to Alan and all of the children… Love to you! Dear Mrs. Turley thank you fir being a sweet teacher and lady we will remember you fondly and hold your memory with us forever. Nolin will never forget his 1st grade teacher…💛love and prayers to your large and loving family. Mrs. Turley, Thank you for being a friend and teaching me things as a paraprofessional in your classroom. You always made me feel welcomed and shared great conversations together. Your smile and kind ways will be missed! Our deepest condolences to your family. We send you a warm hug. I love sweet Milli and will miss her so much, the knowledge of the Gospel and Heavenly Father’s plan is everything wonderful and true. We’ll all be together again and will have our friendship’s renewed in Eternity ✨Love all of you and you’ll continue to be in our prayers. Words cannot express how honored we were to have Mrs. Turley as her first grade teacher! She was the kind teacher my daughter needed and she was so gracious to allow me (an aspiring teacher) to come into her class and help. I loved listening to her stories about her daughters and grandchildren! It was inspiring to know that she started her career later in life. My heart is sadden for her family’s loss. My thoughts are with you all. She truly was a fighter and an inspiration. Words cannot express how honored we were to have Mrs. Turley as our daughter’s first grade teacher! She was the kind teacher my daughter needed and she was so gracious to allow me (an aspiring teacher) to come into her class and help. I loved listening to her stories about her daughters and grandchildren! It was inspiring to know that she started her career later in life. My heart is sadden for her family’s loss. My thoughts are with you all. She truly was a fighter and an inspiration. Our thoughts & prayers are with you. What a wonderful lady. She will surely be missed.